classroom via Skype for a private lesson on the importance of conservation. "My favorite part of the Skype Call was seeing the videos of the chimpanzees with Dr. Jane,” Rubio said. "I learned that I should make a positive impact in the world each day and that I can make a difference by helping people, animals and the environment." 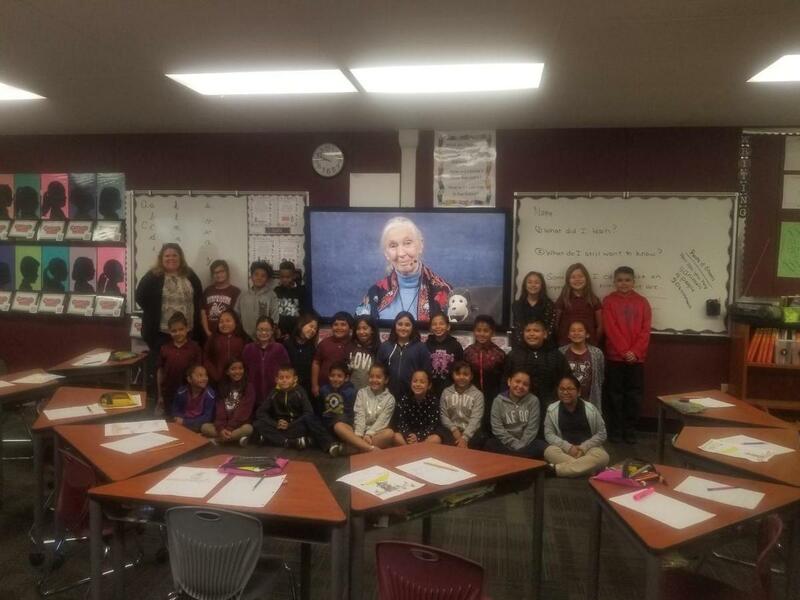 Following the District’s Digital Learning Initiative, Jodi Ruiz is certified in Microsoft Innovation Education and with the help of Michael Jephcott, was able to coordinate a Skype call lesson for her third-grade class with none other than Dr. Goodall. 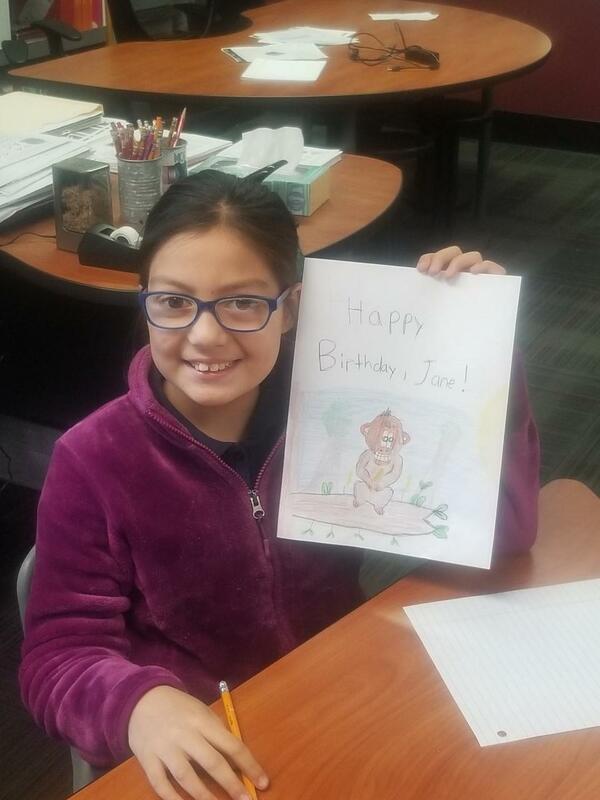 04-04-19_BASSETT_GOODALL_1: Edgewood Academy third-grader Angele Rubio drew a happy birthday card for Dr. Jane Goodall, who she met via Skype during her classroom’s virtual lesson on the importance of conservation. 04-04-19_BASSETT_GOODALL_2: Angele Rubio and her third-grade class at Bassett Unified's Edgewood Academy Skype with Dr. Jane Goodall.